Are there side effects of fish oil? Foods containing omega-3 fatty acids are surprisingly varied. If you thought that finding omega-3 fatty acids in foods other than fish was difficult or impossible, then read on for more information. Omega-3 fatty acids are part of the family of oils called unsaturated fatty acids. While there is a temptation to believe that all oils are bad and should be avoided, oils such as omega-3 fatty acids have very real health benefits and should become an important part of our diet. It is possible to take supplements that contain omega-3 fatty acids. Many people prefer, however, to find foods containing omega-3 fatty acids and include these as part of an every day diet. This is a natural way to consume omega-3 and the foods are surprisingly varied. Fish is the most commonly known source of omega-3 fatty acids. The types of fish that are best for omega-3 are cold water oily fish. 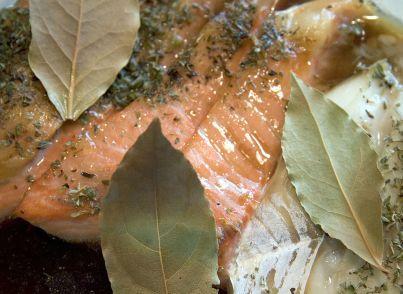 These include salmon, herring, mackerel, anchovies and sardines. Omega-3 is available in other fish too. Tuna, for instance, contains a lower proportion of omega-3. There are thought to be dangers of consuming too much oily fish as these can contain heavy metals. If you have any concerns over your consumption of oily fish, especially if you are pregnant, then consult a trained dietitian or doctor. Flax seed is an important source of omega-3, yet is often overlooked. It is ideal for vegetarians and vegans who do not eat fish. Flax is a versatile food item and can be enjoyed in many ways. Flax seeds can be added to breakfast cereal or as an ingredient in baked items to give added texture. Flax can also be ground and used as a flour replacement in some dishes. Freshly ground flax seeds release a lot of oil and this can go rancid if it is not stored in a cool place. Flax seed oil is also available as a nutritional supplement and this can be a convenient way to consume the oils. Chia seeds are another important source of omega-3. Chia seeds can be sprouted, however they are commonly used in a similar manner to flax seeds. Chia seed oil is also available as a supplement. Kiwi is one of the foods containing omega-3 fatty acids that often surprises people. Kiwi fruits contain many other vitamins and minerals such as vitamin C, making it a healthy fruit option. Kiwi fruit can be enjoyed as it comes or sliced and pureed into a juice. Kiwi fruit makes a nutritious addition to yogurt and this can be sweetened with honey if required. Meat that contains the highest proportion of omega-3 comes from animals that have been raised on grass. Grain fed animals produce meat with a much lower proportion of omega-3, therefore it is important to check the nutritional information before buying a piece of meat. The diet of chickens can be altered to maximize the amount of omega-3 fatty acids that are found in eggs. Chickens that contain a diet that is rich in greens or are given a supplement of flax seed will produce eggs that have a higher proportion of omega-3. The chickens are still consuming a natural diet and the eggs are not genetically modified in any way. There are many different foods containing omega-3 and while it is possible to take supplements containing the oils, it is also possible to receive the recommended daily amount through eating a well balanced diet.